Rachel, 18, in her first year at university, takes a job caring for Grace who is severely brain-damaged following an accident. Initially, this is a way of moving from home and establishing her identity. 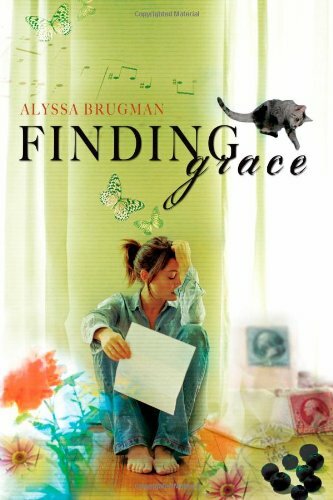 As she becomes involved with others in Grace’s life and learns something of Grace before her accident, she comes to see Grace as a person rather than a passive creature with whom she relates little beyond the level of basic care. This affects Rachel too as she establishes new relationships, consolidates older ones and gains greater self-awareness leading her to think about what she might do after university. Narrated in the first person, Rachel’s voice is warm and fresh with a chatty tone that will appeal to her contemporaries. That her mother who is caring and responsible and Mr Preston, a close friend of Grace’s who offers her the job of caring for Grace, leave her in charge of a house and a woman who has severe mental impairment strains the suspension of disbelief at times. However, that should not spoil a book that is light-hearted yet containing deeper insights into a young woman’s steps on the road to maturity.